The union representing 50,000 Canada Post employees has begun a series of rotating strikes. Normal mail delivery will continue in all other locations across the country. 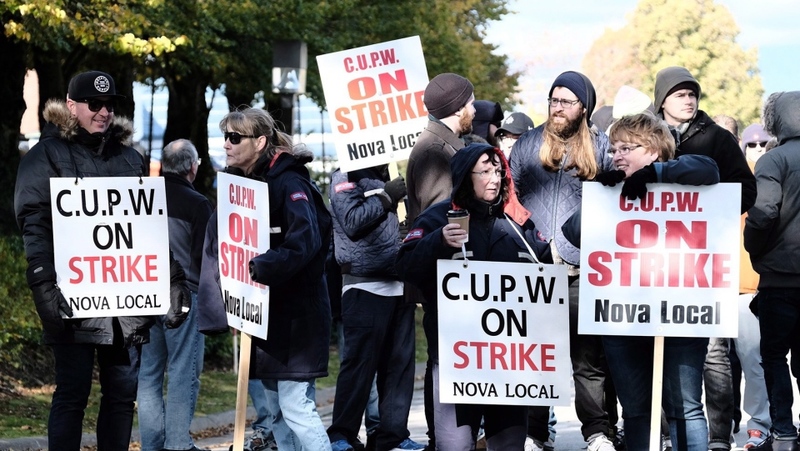 CUPW filed a notice to strike last week after 10 months of negotiations to renew their collective agreements seemed to have failed. CUPW gave Canada Post until the end of the weekend (Oct. 20 and 21) to reach an agreement and avoid the union’s strike action. Big sticking points for the union are wage increases and dealing with the increased workload, Lise-Lyne Gélineau, president of CUPW’s Montreal chapter told The Canadian Press. The latter has been due to the growing popularity of online shopping. Two other issues include addressing precarious jobs and ensuring the health and safety of their letter carriers. Gélineau said the union doesn’t want to go on strike but that the ball was in the employer’s court now. Canada Post spokesperson Jon Hamilton said they’ve tabled a "full offer" which includes "wage increases, improvement to benefits, job security, improved benefits and no concessions." Megan Whitfield, president of CUPW’s Toronto chapter, called the Crown corporation’s last offer "garbage." "Canada Post has not taken negotiations seriously and they just continue to have this ‘wait and see’ (attitude) and the membership is just fed up,”" she told CTVNews.ca Sunday. Some letter carriers have needed to work 12 to 16 hour shifts in order to finish their deliveries, Whitfield said. She added workers want the routes restructured to reflect recent changes to Canadians’ delivery needs. "It’s unrealistic to expect a carrier to deliver at least 150 packages a day, plus mail, plus flyers and try and do it in an eight-hour day — it’s completely impossible," Whitfield said. Hamilton said that they value the relationship with the union and want to address their concern by committing to an annual volume review of each route so they can make adjustments. With a strike in place, Canada Post told the Canadian Press it would notify their customers of any disruptions to service and said postal delivery would continue with possible “minor delays” including delivery of legalized cannabis purchased online. The union has committed itself to continue delivering pension and social assistance cheques, as it has done in the past. The CUPW has about 50,000 members in Canada, including 42,000 in urban areas and 8,000 in rural or suburban areas. What does cannabis cost across Canada?